I sought a single, perfect word. Just as I pored over books of names before my daughter was born to find one that represented a lifetime of hopes and dreams, coming up with a word to represent the company I was creating at the same time presented an equally weighty challenge. Nothing in dictionaries or reference books seemed right, and I quickly came to realize that I needed a new word – one that would stand alone in elegant simplicity yet be substantial enough to convey the passion for the ancient beauty traditions that inspired the collection and the modern science used to perfect them. 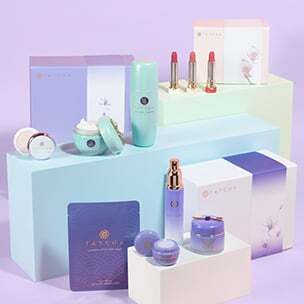 It had to feel classic, yet contemporary -- syllables symbolic enough to pay homage to the time-proven beauty secrets of the geisha while strong enough to become the hallmark of a new beauty heritage -- an approach to skin care that is pure, spare and delivers on its promise to create healthier, glowing skin. We turned to nature for inspiration, specifically to ikebana, the Japanese art of flower arranging where each branch, leaf and flower is painstakingly selected and placed harmoniously with one another and with nature. The oldest, most formal interpretation of ikebana is a minimalist practice known as tatehana, which translates from Japanese as “standing flower,” and features a single stem positioned alone in the center of a vessel. The stunning, simple result belies the complexity of its composition, honoring the bloom’s inherently beautiful essence and intrinsic glamour. Another word that resonated deeply with us was chabana, arrangements created for use as part of the Japanese tea ceremony. 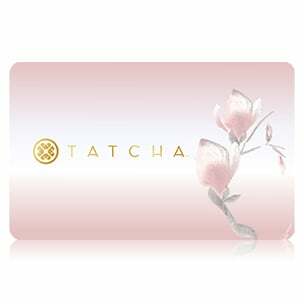 Like freshly unfurled petals from a grafted plant, TATCHA was born from combining the first three letters of each of these deep-rooted phrases. TATCHA’s approach to luxury is informed by these floral disciplines, in part because botanicals are at that the heart of our formulas but also because they honor the Japanese appreciation for the beauty found in simplicity. My greatest wish is that everything this name was created to embody – simplicity, purity and quality – is felt by each and every person who experiences our collection. Thank you for being a part of this journey and giving us the opportunity to live up to our name.